The love of a father is slightly different from the love of a mother. It is somehow strict, over protective, but it is a kind of love you will never exchange for anything else in the world. You can notice that there is a strong bond between a father and a daughter. That is because it is the nature of a father to watch over his daughter and be protective to her because he doesn’t want her to be hurt. If you want to learn more about how it is going between a father and a daughter then it is the perfect place to be. 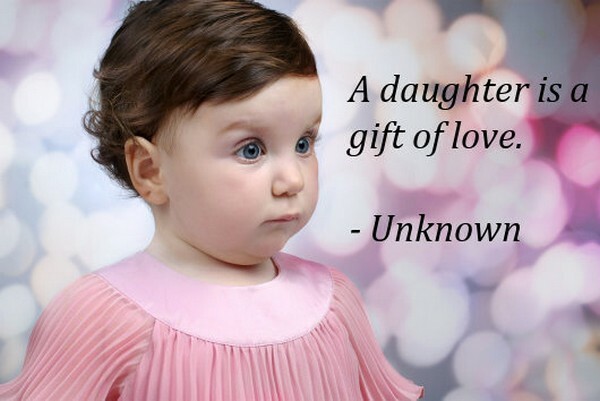 Father and daughter quotes will tell us more about a lot of things between a love of a father to his daughter and a love of a daughter to her father. When you came into our life, everything has changed for better. I am always excited to go home to see you. I don’t care if I didn’t get enough sleep because I am helping your mother to watch over you. Your smile makes my heart melt. I don’t know I will be this happy to have a daughter like you. Daddy loves you so much. I never have to fear because I know you are always there with me. You help me with everything, you teach me how to be strong and at the same time how to act like a real lady. I am more than thankful that I have a father like you. I will never forget your life advises and how was it to be loved by a father like you. You are for me the best dad ever. I maybe over protective but you know I am only doing that because I do not want anything bad happen to you. You are so precious to me. I am doing my best to give the best for you. If you need anything, do not hesitate to ask. I will give everything to you if I think it is for your better. 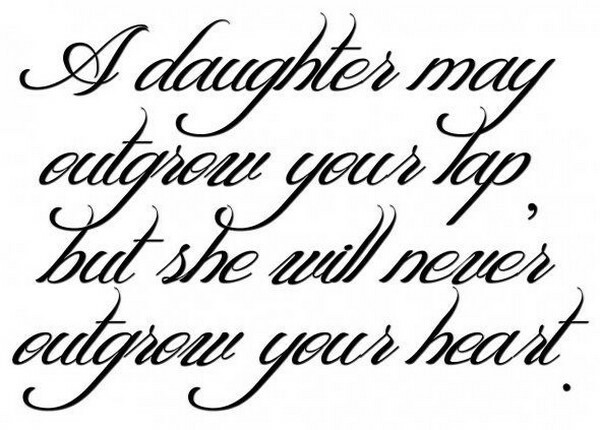 I love you my daughter. I am scared at you before. I usually do not see you smile or talking. You are always on your serious mode. But I love you, dad. I love you because you are working hard to give us what we want. I love you because even if you don’t say it I know you love us. Thank you for everything. You are the sweetest girl, the smartest, and my forever princess. I can’t believe you are now a lady. My darling, always remember that daddy is always here for you. There are some guys who will make you smile, but daddy is the only man who will never make you cry. I love you my princess. I have a high standard when it comes to choosing a man who I will give my love. I want him to be like my father. Funny, sweet, caring, and most especially a responsible man. I still believe that there exist a man that has the character same as my father. You get your good looking and strong personality from me. You are exactly the same as me. I am proud of you no matter what. My only wish is for you to never forget what we told about you. Always pray and thank God for everything. You are for me the greatest blessing I have ever received. My dad is a superman. He works all day but still have time for us. He can easily make me laugh and make me cry. There were no dull moments when I am with him. He has lots of stories; most are about his life experiences. He never fails to encourage me. Thank you, dad. I am glad that I have a daughter who never hesitates to ask help from me. I maybe don’t have the answer for everything but it feels great knowing that you trust your dad. Behind your success and achievements is your awesome dad who is always proud of you. You are a dad who never tolerates my mistakes but gives me a chance to make it right. You are never shy to show me how much you care. You are the sweetest father among many others. Words cannot express how much I am thankful that I have a father like you. Always available, always loving, and always protective. I am always praying that you will have a long life because without you, I do not know what to do. I love you, daddy. You have grown up to be independent, strong, but still sweet and smart. I’m sure many boys are after you. But before that, they should prove me first that they are worth of the love of my princess. I do not want you to be hurt at the end of day. Remember that if you have any problem, your daddy will always be there. Who said you can never be best friend with your dad? Ever since, we are best buddies. He was the one who put my medal during our recognition day, he was with me on my first day at college, and he was always there for me in every championship I’ve made. We laugh hard at each other’s joke, we cry at the same movie scene, and cheese is our favorite ice cream flavor. My dad is not only a father to me, he is my best friend. 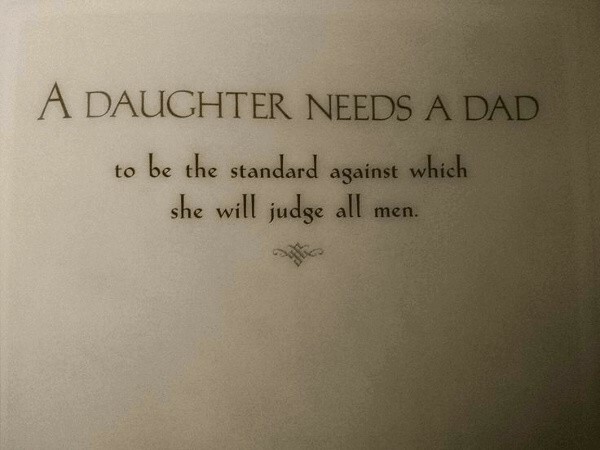 Most of the fathers are strict and over protective especially to their daughters. This is because they want nothing but the best for them. If you have a father like this, then you should be thankful. 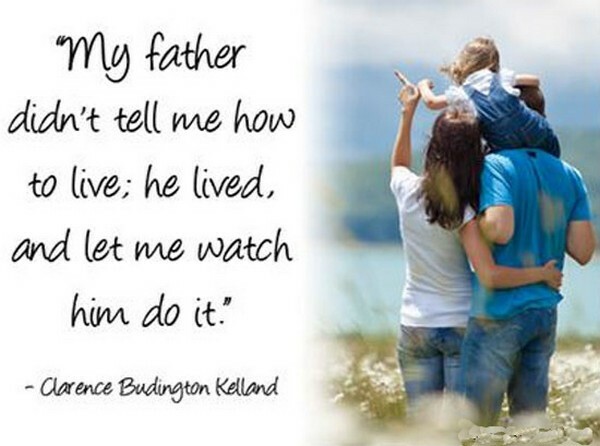 Many were not lucky enough to have a father to watch over them, you are blessed because you are well cared of. Cherish your moment with your father because you’ll never know how long they will stay with you. Every father knows if their daughters are keeping secrets. They may be silent but deep inside they are just waiting for you to confess. We sometimes misinterpret our dad, but the thing is our father is one of many people who we can trust and whom our secrets are safe. I may meet some good guys but my father will always be on top of them. No one could ever take his place in my heart. 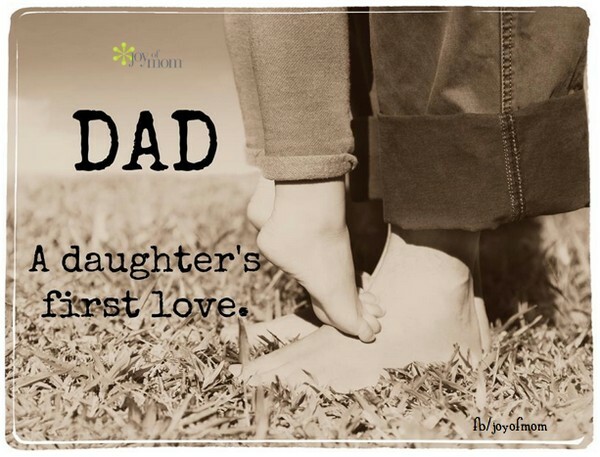 I may love some guys but it is always my father my first love. That is for sure a real kind of love. Behind every daughter laughter is a real funny father. Home will never happy without a joker dad who’s being funny comes naturally. These are one of many moments we should never forget about our dad. Life at home with your father isn’t always comfortable or happy in any way. But every time your daddy will see you he is reminded of how beautiful being a father is. Spend time with him. It doesn’t matter how long you stay, with just a little conversation or asking how is he doing would be enough to make his day alright. My daughter’s happiness is my happiness. Seeing her in pain breaks my heart. It is like our hearts are connected with each other. My daughter is my life. I will do everything just to make sure she will live her life with a bright future. He is a man with super powers. My mom loves her so much. We all love him so much. 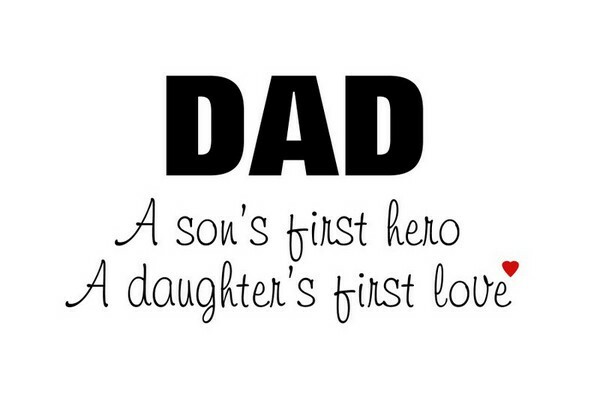 For me, he is the best father with a good and generous heart. I promise I will be there for him whenever necessary. There will come a time that you will leave our house and have your own family. Our house that we used to play hide and seek, the place where most of our memorable memories happened. I am always praying for your safety and success. Whatever comes along your way, always remember that daddy won’t think twice to help you.. I began to realize how important it was to be a good daughter to you. I was stubborn and want to decide my own. But you never gave up on me. I also began to realize that you are not getting any younger. But you have the same smile that can lighten up everybody’s mood. Thank you, daddy. I usually don’t say it, but I love you. There is always one person in the family who laughs at his own joke, and that is our father. Meal time will never be complete without a father who makes everything funny. That’s what makes them special and different from any other guy you will meet in your life. You sheltered me with love, you gave me a better life, and you love me unconditionally. To my father who is always there for me, thank you and I love you. I wouldn’t be where I am today if it wasn’t because of you. You taught me to be strong and to never give up. I salute you, dad. My kids taught me to be forever young. I never felt that I am over my 40’s because of them. I played dolls with my daughters and I played soccer with my boys. To all fathers out there, always spend time with your kids. The best feeling we could ever had is the love of our children. I am a daddy’s girl. I want to be with him all the time. We used to watch television together, had lunch together, all my life he’s always been a part of it. But now he’s gone. I feel alone. I don’t know how to live without him. His last word is the only thing that keeps me going. Wherever you are right now dad, always remember that I love you. My love for my children is never ending. No matter how many mistakes they’ve made, it will never change my love for them. Our responsibility is to guide them and to teach them. Never should you get tired of guiding and loving them. They are what they will become because of how you mold them. Always believe on their ability to succeed. All fathers should be proud of their children.